Size: approx. 7 mm. Photo: 08/18/14, 9 pm. 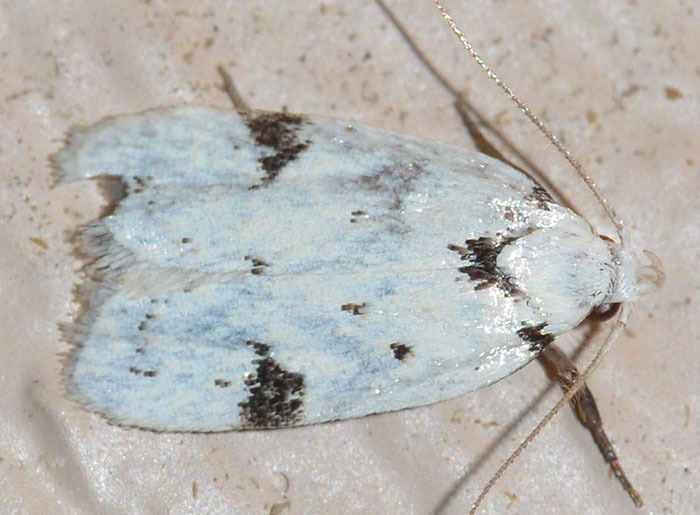 The range of this little white moth is mainly the Southeast and Texas.